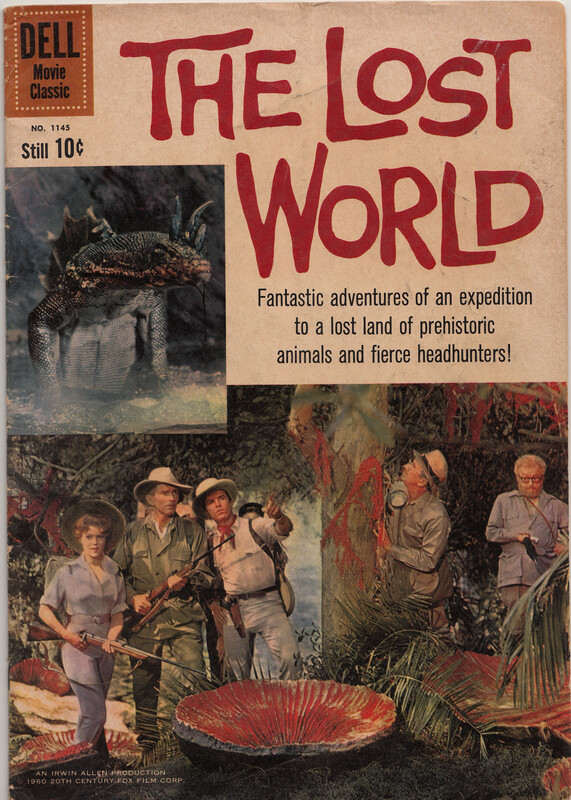 The Dell comic adaptation of Irwin Allen’s The Lost World. 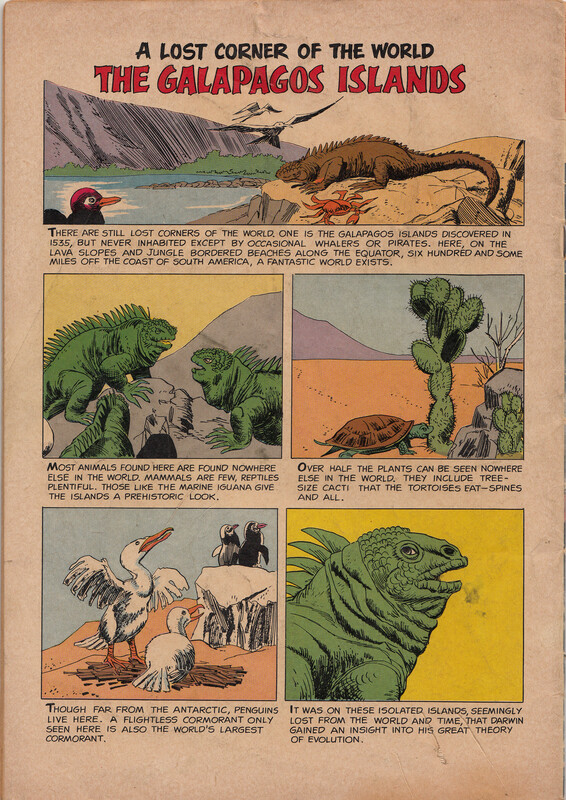 The company, which later became Gold Key, created the comic Space Family Robinson that Allen adapted for TV as Lost In Space. The back cover sends the kids off with a few facts. Hey, better than an ad. The spider incident begins. Here it’s a trap door spider instead of dangling from silk, and the native girl’s frantic dodge hints at a much more exciting scene than we actually got. And that’s that for the Big Damn Spider. Alas!